Christine graduated from Durham College in 2017 and eagerly joined the LOC team shortly after. She works on a one-to-one basis with patients as she helps them start their orthodontic treatment, by taking impressions, records, and x-rays. 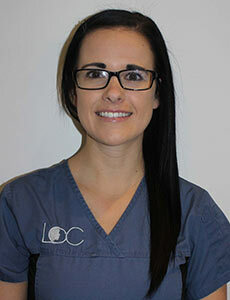 She is also responsible for sterilization, greeting patients and scheduling appointments. Christine loves watching the progress of each patient’s teeth when he or she is in braces, and especially enjoys seeing how happy patients are as their teeth become straighter between each appointment. When she isn’t at the office, Christine enjoys cooking and baking, trips to the cottage and spending time with her boyfriend, and their dog and cat.